From buzzwords to best practices. No matter what you think of jargon and buzzwords, every business has an opportunity to succeed through people, focus, measurement and reinforcement. 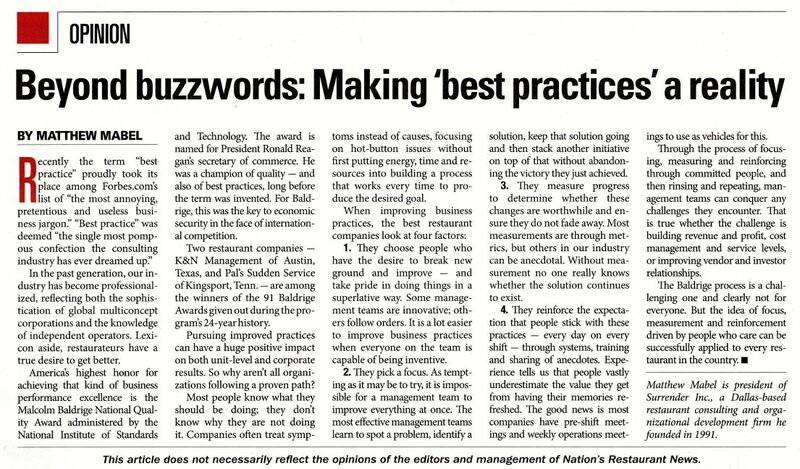 That is how I started my Op Ed, “Beyond Buzzwords, Making Best Practices a Reality” in Nation’s Restaurant News‘ May 14 issue. Every industry has jargon. Often that jargon is designed to differentiate those who are in the know from those who are not. Jargon becomes a ticket to be allowed into the game. But since human beings like the efficiency of shorthand, no wonder there are so many acronyms, slogans and buzz words out there. 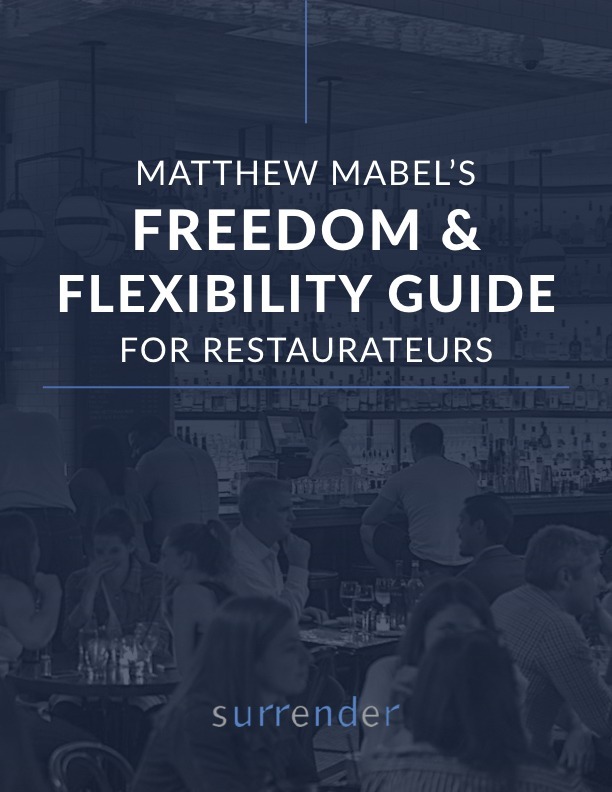 I remember standing at lunch time with a new client’s manager in his restaurant dining room. It seemed like food was slow coming out of the kitchen. “What are your ticket times?” I asked him. “I don’t know what a ticket time is,” he replied with a great amount of honesty and very little shame. Six month later, through people, focus, measurement, and reinforcement, he knew what ticket times were, and a whole lot more.